Pfew, that was tough, but fun! After 48 hours I made my first game for the 27th Ludum Dare – Catch A Train. First, I brainstormed about the theme – 10 seconds. And I came up with this simple, yet fun idea, where you try to catch this train in 10 seconds. The simple sketch I drew, shows the characters who will hold you from catching that train. But in the end I stuck to the idea to push your way through the mass of passengers who just came out of the train. I had some trouble with coding the physics of the game. Definitely something I need practice with. As I’d like to participate in future 48 hour competitions, I will learn some cool new tricks about physics. 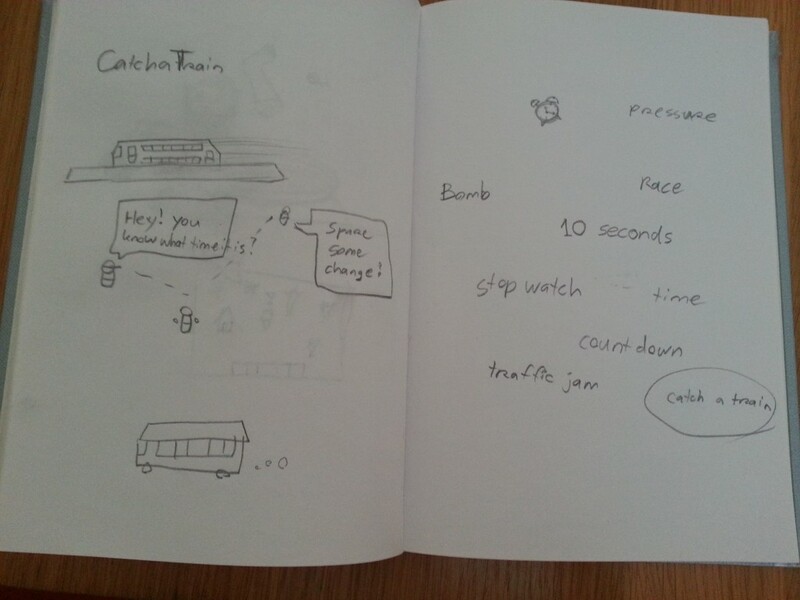 If you like my game, please vote and/or comment on the entry page of Catch A Train. While your there, check out the other cool games!